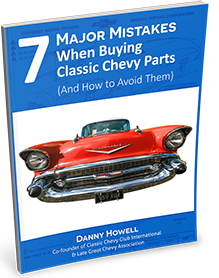 These original 1955-1956-1957 Chevrolet Sedan left/ driver's side quarter window regulators have been fully restored. We replace any gears or nylon rollers that are broken or worn down. Often the springs are broken or the main rivet is loose causing the regulator to fail to raise the window all the way up. In this case, we install new springs or rivets so as to ensure that the regulator will work properly. When we get done with them they look and function like new. Passenger's and driver's side sold separately.